Fordham University’s Center for Ethics Education Director Dr. Celia Fisher, PhD is the 2017 recipient of the ninth annual American Psychological Association (APA) Ethics Committee Ethics Educator Award for her outstanding contributions to ethics education at the national level! Dr. Fisher was presented with the award earlier this month by APA Ethics Committee Chair Patricia L. Watson, PhD, at the 125th APA Annual Convention in Washington, D.C. Psychologists are awarded the Ethics Educator Award for demonstrating outstanding and innovative contributions to the profession of psychology through ethics education activities. These ethics education activities include presentations, workshops, publications and more. Dr. Fisher is the Mary Ward Doty University Chair in Ethics at Fordham University, a professor of Psychology and the director of Fordham University HIV and Drug Abuse Prevention Research Ethics Training Institute. In addition to chairing the 2002 revision of the American Psychological Association’s Ethics Code, Fisher’s Decoding the Ethics Code: A Practical Guide for Psychologists is now in its fourth edition from Sage Publications. Dr. Fisher’s federally funded research programs focus on ethical issues and well-being of vulnerable populations, including ethnic minority youth and families, active drug users, college students at risk for drinking problems, LGBT youth and adults with impaired consent capacity. 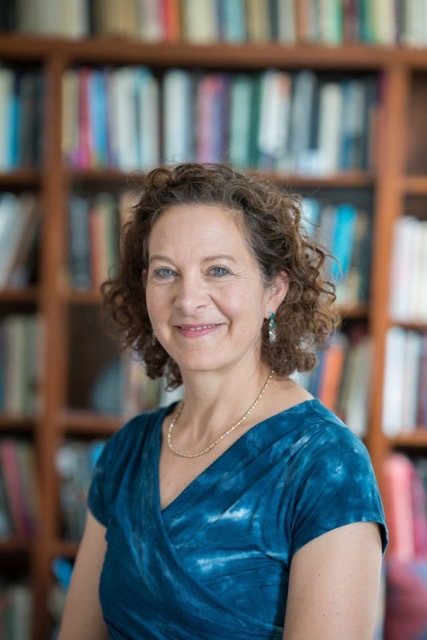 Please visit Dr. Celia Fisher’s webpage for more information about her work, as well as the Fordham University Center for Ethics Education Research page. Fordham University’s Center for Ethics Education Director Dr. Celia Fisher is the 2017 recipient of the ninth annual American Psychological Association (APA) Ethics Committee Ethics Educator Award for her outstanding contributions to ethics education at the national level! Dr. Fisher was presented with the award earlier this month by APA Ethics Committee Chair Patricia L. Watson, PhD, at the 125th APA Annual Convention in Washington, D.C. Psychologists are awarded the APA Ethics Committee Ethics Educator Award for demonstrating outstanding and innovative contributions to the profession of psychology through ethics education activities. These ethics education activities include presentations, workshops, publications and more. This editorial is made available on bioethics.net. The editorial along with the target article and open peer commentary is available via tandfonline.com. Although we can argue that bioethics is holistic and found in every culture, and still alive among people of many indigenous communities as well as the postmodern ones, the academic discipline of bioethics as interpreted by many scholars has attempted to burn bridges to both different views and to persons with different life trajectories and training. The bridges between different cultural and epistemological foundations of bioethics have also been strained by the dominance of Western paradigms of principlism and the emergence of an academic profession of medical bioethics. This editorial reacts to the points made in the article by Lee, “A Bridge Back to the Future: Public Health Ethics, Bioethics, and Environmental Ethics.” This issue of the American Journal of Bioethics (AJOB) includes a number of commentaries on this theme, and challenges readers to reconsider the manner in which they conceive of bioethics, as well as the range of literature and scholars that they consider to as legitimate sources of wisdom. Such a new approach will not only breathe fresh light into the important work of all scholars, students, and teachers, but also offer some fresh references for contemporary policy changes that face us. Let us approach these issues like an ostrich who is taking her head out of the sand after some years of monodisciplinary focus. To be clear, Lee and some others writing here have apparently not had their head in the sand, as the interrelatedness of health and the environment is clear through the examples shared. Orkideh Behrouzan’s first ethnographic endeavor, Prozak Diaries (2016), explores a question that has provoked much interest in the Middle East in recent years: what’s with all the talk about depression nowadays? The influence of Western clinical psychiatry seems to traverse language: the Farsi word afsordegi, for example, is often substituted by ‘depreshen.’ Prozak Dairies is a multifaceted exploration of the pervasiveness of depreshen talk, or the use of psychiatric language more generally, in Iranian society. The main thrust of Prozak Diaries considers the extent to which modern clinical psychiatric language has become vernacular—gradually normalized within Iranian popular culture and public discourse and co-constitutive with trends in psychiatric treatments and scholarly debates. Behrouzan identifies depreshen, as well as other psychopathologies such as attention deficit hyperactivity disorder (ADHD) and post traumatic stress disorder (PTSD), as diagnoses that have grown in popularity over the past three decades. She then follows the many elusive manifestations of psychiatric discourses and therapeutic practices amongst Iranians. Behrouzan asks questions that are not only relevant to Iranians but which also reflect global trends pertaining to increased rates of prescribing and consuming psycho-pharmaceuticals, an adoption of American clinical language, and an acceptance of an agenda standardized by American pharmaceutical companies. How, she asks, has the normalization of the psychiatric vernacular engendered new ways “of knowing, interpreting, and perceiving oneself in the world?” How might the contemporary psychiatric vernacular open up new ways of expressing mental or emotional conditions in Iran? When Rebecca Shlafer clicks on her office lights each morning at the University of Minnesota Medical Center, Minneapolis, she usually has a good idea of what to expect from the day ahead as lead of a nine-person research team that studies the effects of incarceration on children and families. It’s her volunteer work that can be unpredictable. For the past eight years, this developmental child psychologist has donated her free time to serve as a guardian ad litem for abused or neglected children who’ve been removed from their homes and placed under protective supervision of Minnesota’s Fourth Judicial District. In that volunteer capacity, Shlafer advocates in court for the well-being of the child, but doesn’t foster the youngster or provide any day-to-day care. Shlafer, who recently completed a training grant with NIH’s National Center for Advancing Translational Sciences, first got into volunteering as a graduate student, when she signed up to deliver warm meals to the hungry throughout the Twin Cities area. While completing her Ph.D., she heard about the Hennepin County Guardian ad Litem Program and thought it would be a great fit to use her degree as a community volunteer. Shlafer completed a mandatory 10-week training course, then took on her first case in 2009. Since then, she’s advocated on behalf of more than 20 abused or neglected kids and estimates she’s donated a total of 750 hours—and counting. As a guardian ad litem, Shlafer thinks holistically about each child, “putting on my Mom hat” to assess his or her needs, be it physical, psychological, or emotional.